ACC was born in 1977, and we’ve been on an epic journey ever since. From our beginnings as an Auto Trim Business to becoming the world’s largest manufacturer of Automotive Flooring products, we’ve tried to stay true to our core principles. Deliver exceptional products made in the USA. Strive every day to be better than the day before. Do it faster than anyone. We are very grateful to the millions of customers who trust us each year and for joining us on this awesome ride. We hope that you’ll continue to be a part of our story. Automotive Flooring is what we do. It’s all we do. It’s not a side business. It’s not one of numerous other product lines that could divide our attention. It’s all we focus on every day. We know you and your vehicle deserve that. Our dedicated team is our biggest asset. These long time employees insure the products we produce every day are of the highest quality and made with the best craftsmanship. From our engineers, to the materials and equipment we use, to our dedicated staff, we are relentless in our pursuit to manufacture a product that we all are proud of. This is a special order item and is drop shipped direct from the manufacturer to you. Please allow 7 to 10 days for delivery. ACC was founded by Jack Holland and incorporated in October of 1977. Jack had been in the auto trim business for many years before starting Auto Custom Carpets. 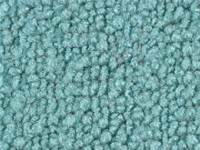 He started out by purchasing the carpet used in the molding operation from OEM suppliers such as Collins & Aikman, J.P. Stevens and Masland. In April of 1984 he purchased Academy Carpets, Inc. in Dalton, GA and began tufting his own carpet. In January of 1986 he purchased the plant that was formerly operated by the Automotive Division of E.T. Barwick Mills. 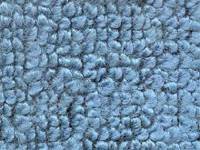 For many years, this plant was a prime carpet supplier to General Motors and Chrysler Corporation. The first molded carpets used in the automotive industry were developed at this plant in 1958. 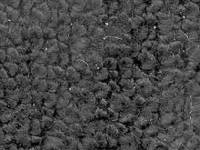 By purchasing this plant, ACC was not dependent upon any supplier for its carpet needs. In 1995, a management group consisting of Ken Howell, John Mahlendorf, Jeff Moses and George Miller purchased the company from Mr. Holland. In April of 1998 the other three stockholders purchased George Miller’s stock. The company acquired Jeff Moses’ stock from his estate following his untimely death in February of 2001. In 2002, the company established an Employee Stock Ownership Plan (ESOP). The ESOP was put in place to acquire John Mahlendorf’s stock thus allowing him to retire. This leaves Ken Howell as the only remaining member of the 1995 buyout and the majority stockholder. The ESOP allows each ACC employee the opportunity to take ownership and pride in the company. ACC acquired Auto Carpets Systems (ACS) in September 2007. This acquisition allowed ACC to become an even stronger automotive flooring company with greater capabilities. Today, Auto Custom Carpets, Inc. employs over 150 workers across two states and five locations. Our corporate office is located in Anniston, AL. We also have three production facilities in Anniston and one in Lafayette, GA. We offer over 40,000 flooring applications to fit vehicles ranging from the 1940’s to current day models. Each is offered in its original color and material and is custom made to meet or exceed OEM specifications. Most orders are produced and shipped within 24 to 48 hours.